With some plants gardeners are quite happy to see spread around in the garden, while others not so much. Maybe the "not so much" plants aren't as coveted, not as showy or maybe they spread a bit more than considered polite. But are the negatives overshadowing the potential benefits for some of these plants? Take our native violets for example. Many gardeners view our state flower as an aggressive weed, both in the lawn and the planting bed, and never really see their full beauty that can be attained under "preserved" cultivation. 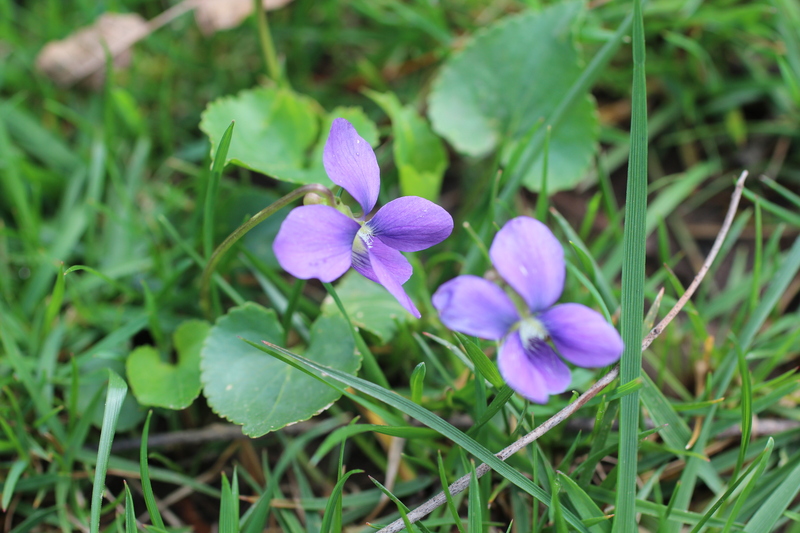 Compare a violet growing in a lawn under selective mowing pressure to a violet that is managed. 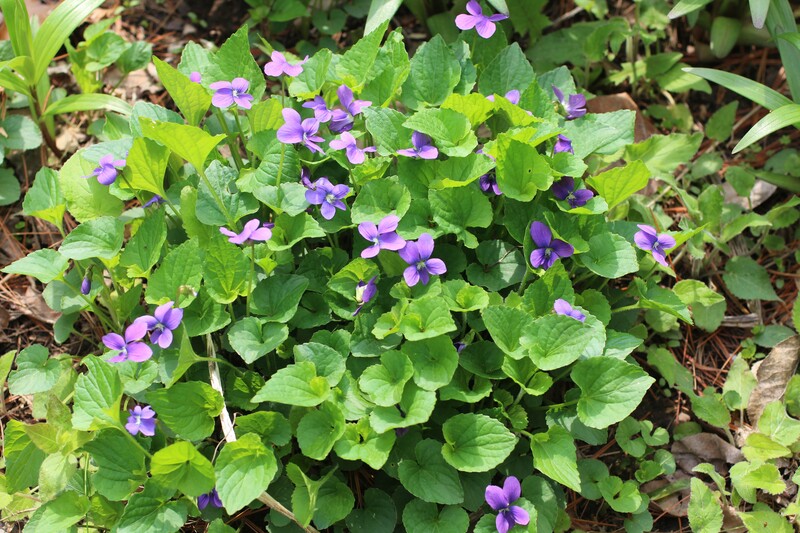 The lawn violet will have developed a very short stature in order to avoid the mower blade, whereas the cultivated violet will easily be 6" tall by early spring and full of multiple booms due to crown development. One of the other benefits of violets is their role as an important larval food plant, specifically for fritillary butterflies. Although the adult fritillary butterflies don't sip nectar from violets, females do lay their eggs on violets and the larvae feed on the leaves making violets a critical need in the development of fritillary butterflies. According to Butterflies of Illinois by Jeffords et.al. (a must have), fritillary butterflies only produce one generation per year and females only lay their eggs on or near violets. So if we want fritillary butterflies to flourish, like the variegated fritillary and the great spangled fritillary, we need to adjust our perception of violets and welcome them into our gardens. It will take some added work, but the benefits are worth it! Spring for gardeners is both a time of joy and a time to mourn. Already this year I have done the happy dance several times when a special plant has survived the winter to give delight yet another year. But I have also stood in silent frustration when a plant tag has to be pulled…I hate recycling plant tags because it means something has died. My most recent happy dance was over the emergence of a lady slipper. I planted two last year, so I was pretty excited over this first success. I trotted over to my other terrestrial orchid expecting to see a similar emergence pattern, only to find it had been entirely dug up, presumably by some rodent over the winter months. Since the planting site is all set up for orchids…sharp drainage, no direct sun from 12-4pm, my next orchid planting in that spot will include a wire cage during establishment.